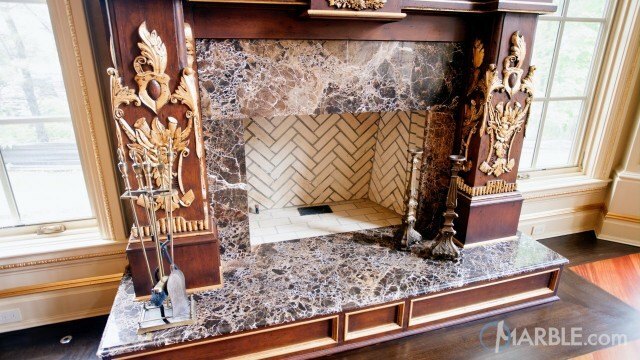 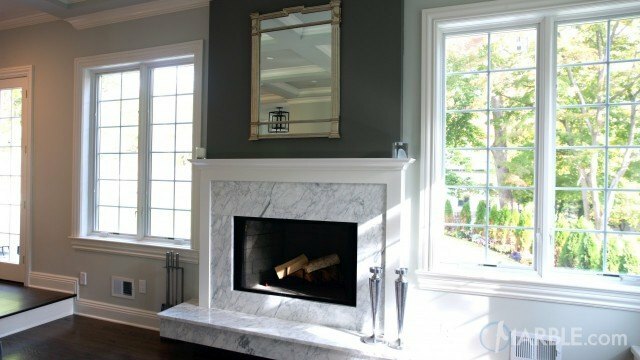 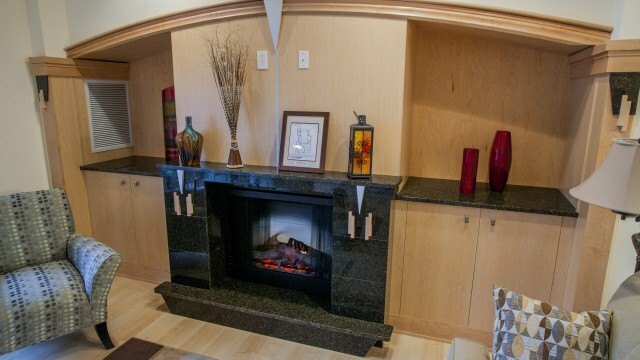 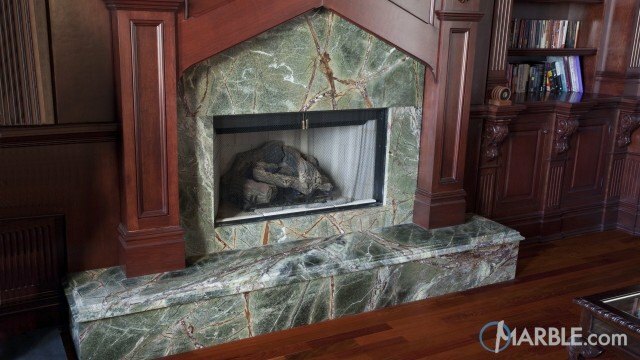 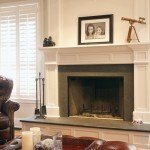 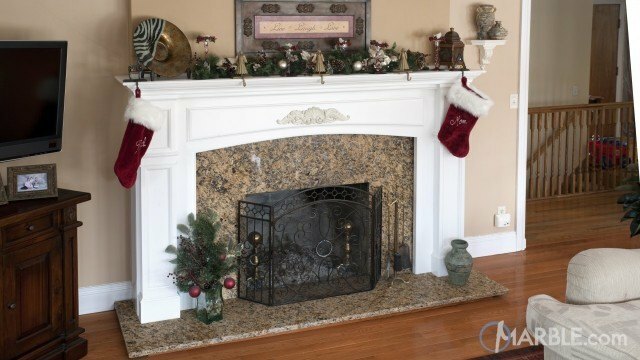 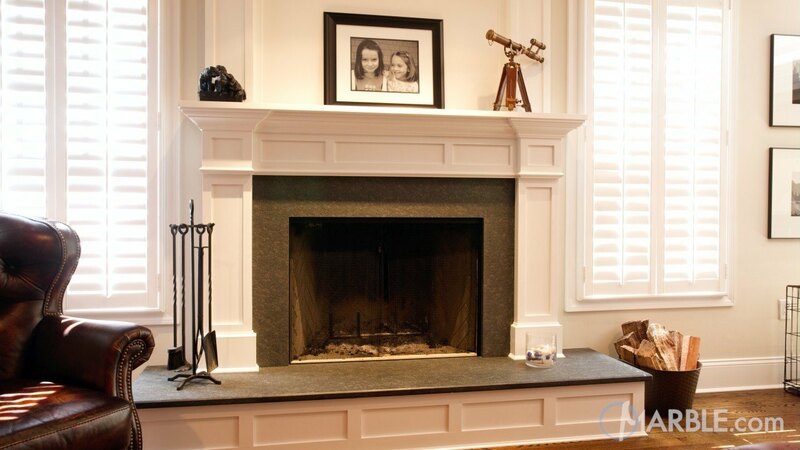 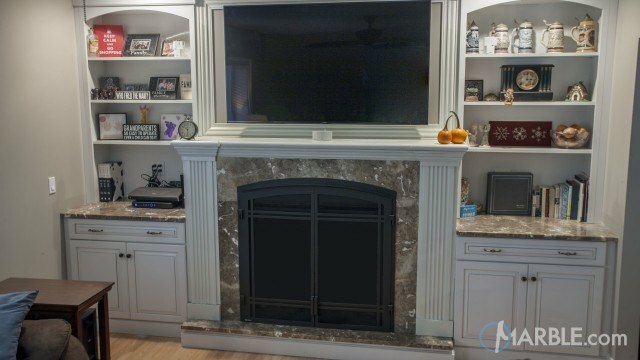 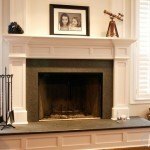 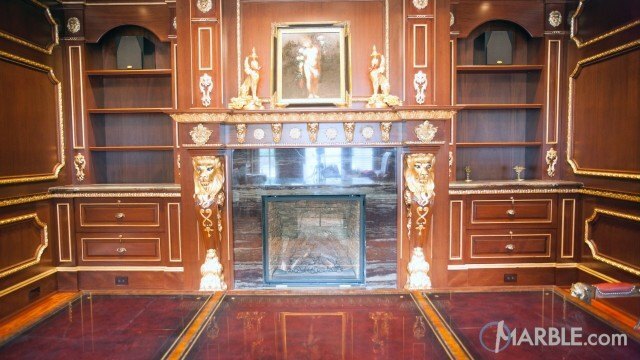 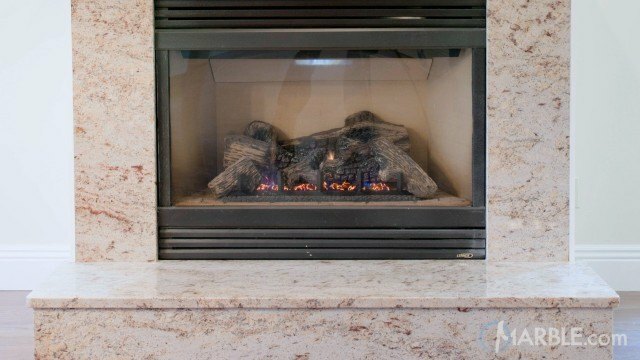 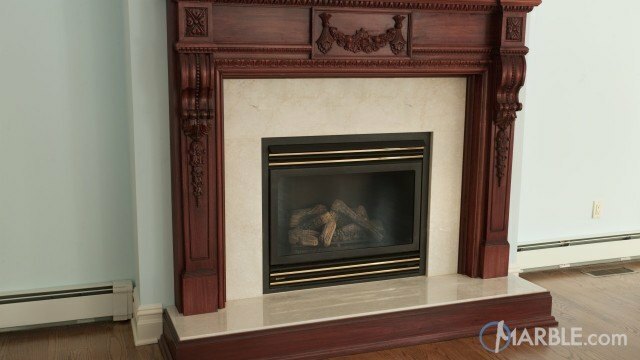 Silver Pearl granite counter tops with a 1/4 Bevel Edge frames the fireplace and provides a gorgeous hearth. The white walls and rich wood floor make this living room elegant and cozy. 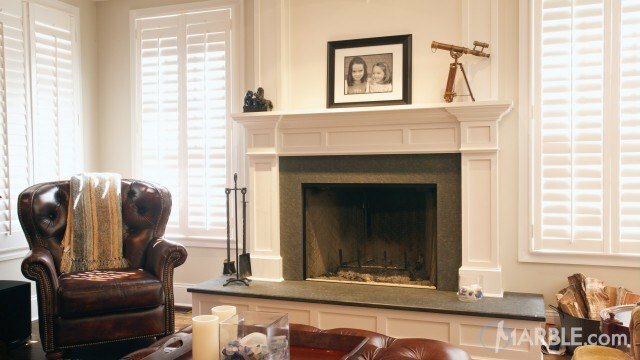 Rich leather armchairs complete the look and a simple framed picture above the fireplace make this room perfect.